Sorry to be the one to deliver bad news, but this warm weather is great for pesky fleas and parasites. 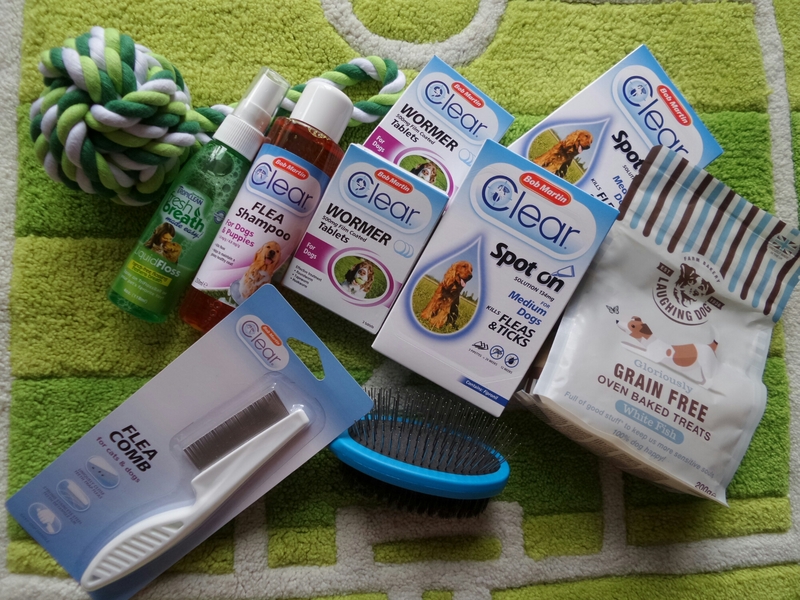 I usually use cheap flea spot-on treatments for the dogs in the first couple of days each month. I aim for parasite treatments on the 1st of each month but I am a bit ditzy sometimes and it can be a day or three late. This month though they had something a bit stronger, Bob Martin Clear range. The spot-on is boxed by size, the medium is what suits Freya and Doris, it is dosed by weight so weigh your best friend first. The box contains 3 pipettes, so that’s 3 months of solid treatment, at around £4 a box that means that it is really good value. Lots of instructions and advice. It was easy to apply, as with most dog spot-ons you squeeze it on to your hounds shoulder blades and neck area. Pretty much the only place a dog can’t lick. You shouldn’t wash your pet within about a week of applying a spot-on as you will make it less effective. Try to bath them first if you can, or wait a bit. Also the girls had worming tablets. 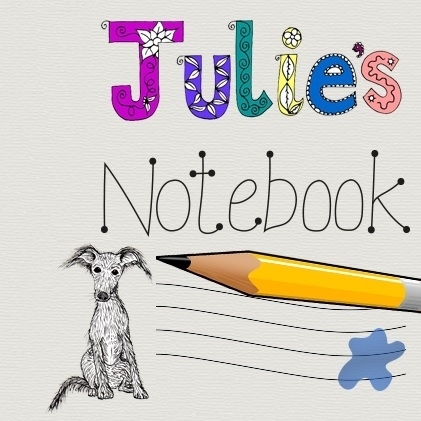 These can be tricky to get in to my dogs as both of them have a sense for tablets hidden in food! As I mainly feed them Wagg dry food, I open a can of gravy or jellied dog food and poke the tablets into this. They can’t see or smell it, then I sprinkle some of the normal food over the top and the girls don’t think it weird when they find a crunchy bit. What the girls don’t like, bath time. 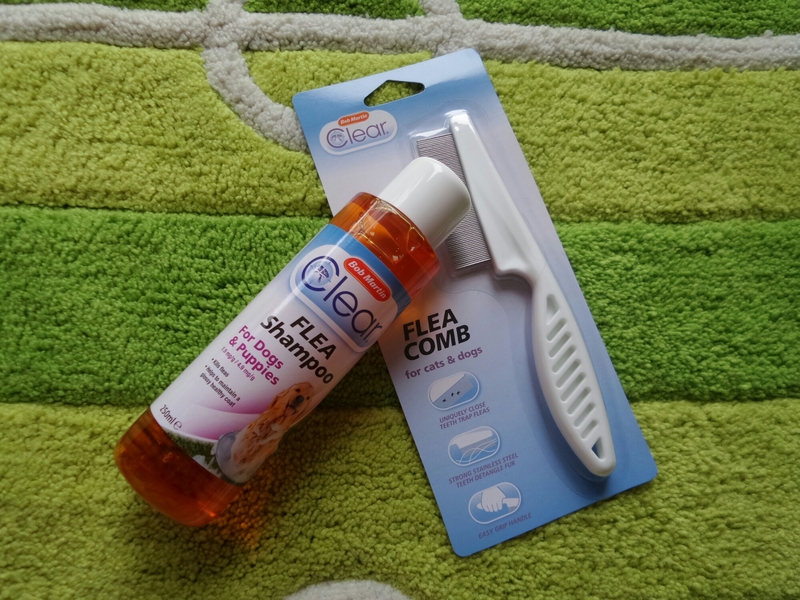 Clear flea shampoo and comb. Bathing is necessary with woofers like mine though as they roll in stinky stuff on the fields. Nice. I think the comb is self explanatory, but I will give you some advice if you are combing fleas off your dog or cat, have a lighter nearby. The moment you get a flea it’s going to try to hop off. If you quickly drop it on to a dinner plate and (carefully) give it about two seconds under the flame it dies. The last thing you want to do is catch the blighters for them to just hop off again. Or if you’re clumsy you can drop onto a plate and crush with the back of a fingernail. It needs to make a pop noise or chances are it is still alive. This is a great time to check their claws, and if getting a bit long I get the clippers out. I see no point washing and grooming the hounds if I leave their teeth alone because they’ll look clean but still stink. I bought this kit at a local pet shop after I discovered Doris will attack me if I attempt to brush her teeth. Brushing their teeth (with dog specific paste) is a much better thing if you can do it though. 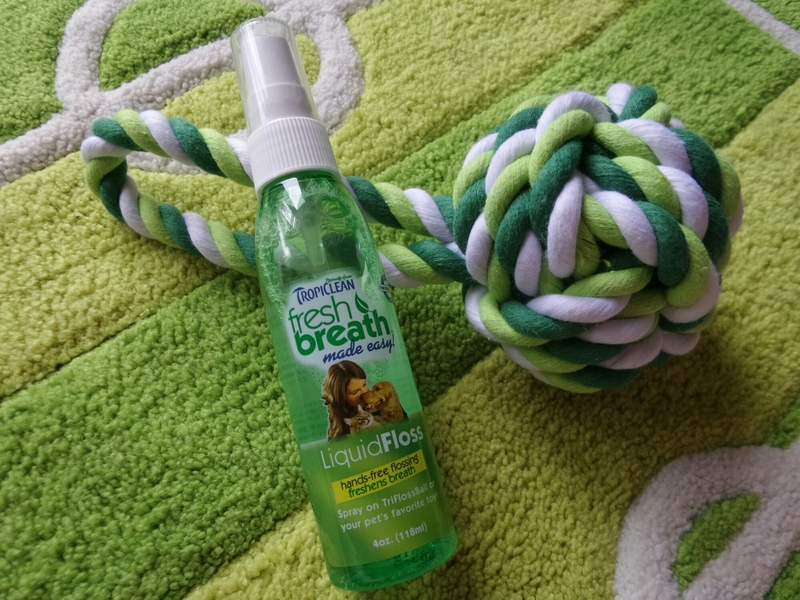 With this spray you are meant to spray it just on rope type toys but I sprayed it on several of their soft squeaky toys too. If the hounds put up with all this they get treats, in this case Laughing Dog fish bites. 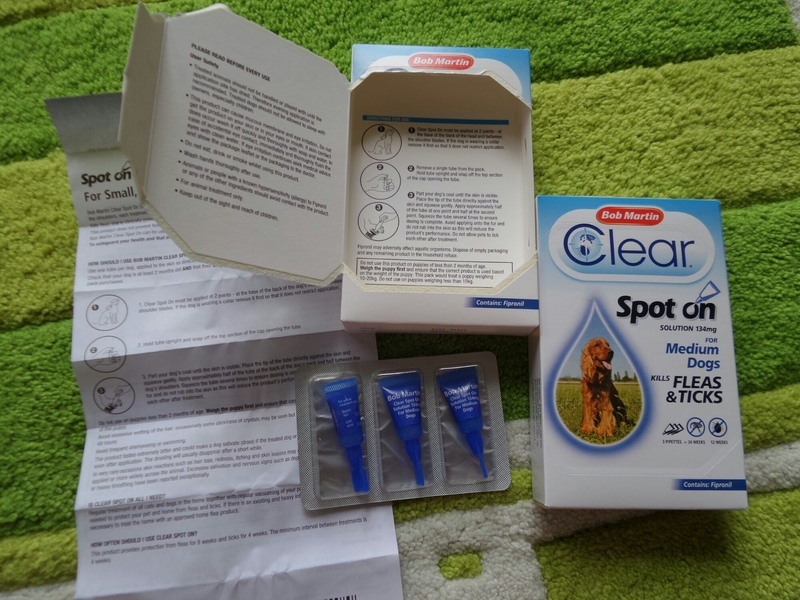 Available in major supermarkets, pet retailers and online at bobmartinclear.co.uk or bobmartinvetcare.co.uk. Fleas are a huge pain in the bum as they can live in the home, but other parasites are worse. Worms can kill a dog, ticks can give them (and us) diseases so I definitely think prevention is better than cure. Disclosure : post contains PR samples. Words and opinions are mine, I am not a vet. Always consult a professional and read the product labels. Please reconsider promoting this brand. There have been a lot of cases where pets have died or become seriously ill after using Bob Martin products.